Official Japanese Trailer for “Alita: Battle Angel” Released! 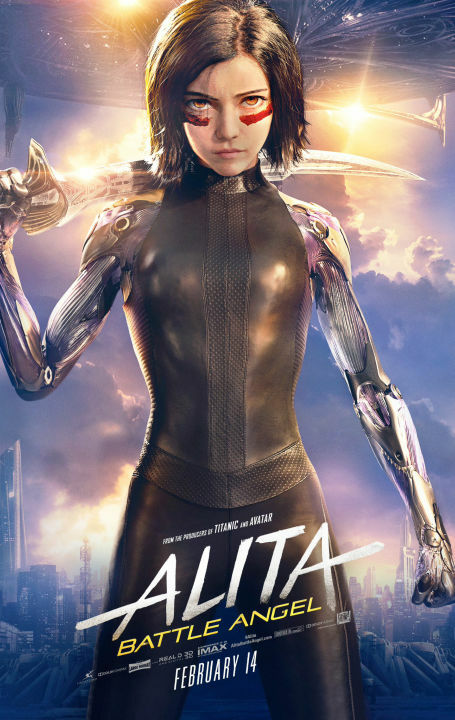 Poster for “Alita: Battle Angel” Released! New “DEAD OR ALIVE 6” Character Revealed! Today, three more characters were revealed for Koei Tecmo‘s upcoming fighting game, DEAD OR ALIVE 6. The most interesting among these three is the brand new character named NiCO, She is, rather surprisingly, an 18-year-old evil scientist, but she is clearly the eccentric-type rather than the threatening-type. She fights using Pencak Silat, which is described as a style of Southeast Asian martial arts and she can also shoot plasma from her rings. I completely missed the first one, but a second trailer for the upcoming Spider-Man: Into the Spider-Verse animated film has been released. Spider-Man has always been my favourite super hero, probably because I think the design of his costume is incredibly cool. So although I’m not really into American comics, I have been interested in this particular film ever since I saw the teaser trailer for it earlier this year. Story Trailer for “Resident Evil 2” Released! Yesterday, which was the first day of the 2018 Tokyo Game Show, a new trailer for the upcoming remake of the Resident Evil 2 video game was unveiled by CAPCOM. This trailer focuses on the game’s plot and it looks simply amazing. We see a bit more of Leon, but we also get to see a lot of the female characters who appear in the game. DEAD OR ALIVE 6 “Tokyo Game Show” Trailer Released! Game developer and publisher Koei Tecmo have released a trailer for the upcoming DEAD OR ALIVE 6 fighting game, to coincide with the annual Tokyo Game Show which will be held next week. Official Trailer for “Alita: Battle Angel” Released! MoeDimension is a blog focusing on my favourite female characters, from all types of media, such as cartoons, movies and games. It also features my creations, such as drawings and stories, which are again mainly centred on girls. But it can also occasionally cover things beyond these two areas. I hope you find something here that pleases you! My favourite heroine of the moment is Hanna (played by Esme Creed-Miles) from the Amazon primevideo TV Show Hanna.